If you had to narrow down the one thing that costs your business the most, you would conclude that shipping takes a big chunk of your budget. But shipping is vital to most businesses. In many cases, if there were no shipments, there’d be no business. The sad news is that shipping rates have increased over the past decade, and are likely to continuing climbing. That makes it tougher on businesses of all sizes to try to keep their prices low and provide reasonable shipping rates. While shipping rates may be a vital expense, it’s not a fixed expense, and there are things you can do to reduce your shipping cost. Companies run by data and those numbers have a lot to say. They can lead you to make decisions about your shipping that could save you coin. For instance, if you’re using larger packaging than you need and find that it’s routinely costing you more money than the smaller packages you ship, you could redesign your packaging to be more economical and environmentally friendly. Smaller packaging can decrease your costs and will also save you warehousing space. Maybe the data is telling you that one carrier is cheaper than the other. At that point, you could transition all your shipping to one carrier and then reevaluate the data at a later date to see how you could save even more with the cheaper company. Speaking of packaging, what kind is being used to ship products? Some packaging, like cardboard, weighs more than other options. Consider your options and what you’re sending. If the item isn’t fragile and doesn’t need a lot of protection, a large envelop could replace a box. You can also look beyond the outside container and consider what you’re using to stuff your fragile orders. Are shipping peanuts lighter for a larger volume than paper? Do whatever you can to reduce weight and watch the change you save on each package add up. How much do you ship? This step could take a bit of research and negotiating, but it may be worth it in the end. If you ship a large volume of product, it may be in your best interest to reach out to shipping companies and find out if any of them will give you a bulk discount on all your packaging if you work with them exclusively. Go to the meeting armed with data so you can give them figures so they will know if it’s advantageous for their company to give you any deals. This doesn’t mean get rid of the insurance altogether. What we’re suggesting here is that you look for private insurance. Shipping is expensive, and insurance through carriers is more expensive still. 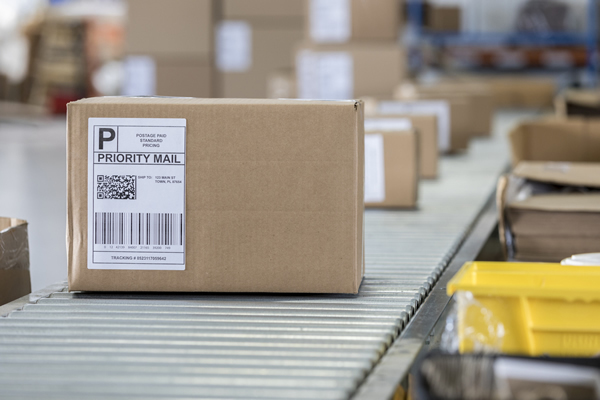 If you look to private insurance companies to cover your shipping, you could save a significant amount of money on each package that leaves your facility. Many shipping companies will offer free boxes and envelopes, take advantage of that. Any money you can save during the shipping process is great. If you can’t find free supplies, then order in bulk. Bulk often comes with major discounts to help you trim costs. This is a pretty standard process for many businesses and it means that you’re not absorbing the cost of shipping. But still, try to get lower shipping costs through the other options we’ve listed here. Customers love getting deals on shipping and it may be the factor that makes them purchase from you rather than a competitor. If you don’t like the idea of charging shipping, you can increase the cost of your products a little bit so that they already include the shipping cost or at least part of it. Are you leaving money on the table? When packages arrive to your customers late from UPS and FedEx, you’re entitled to money back on the cost of shipping. Many people don’t know this, and it means that billions of dollars are pocketed by shipping companies each year that should go back to customers. Find out more about how we take the hassle out of reclaiming your shipping costs!